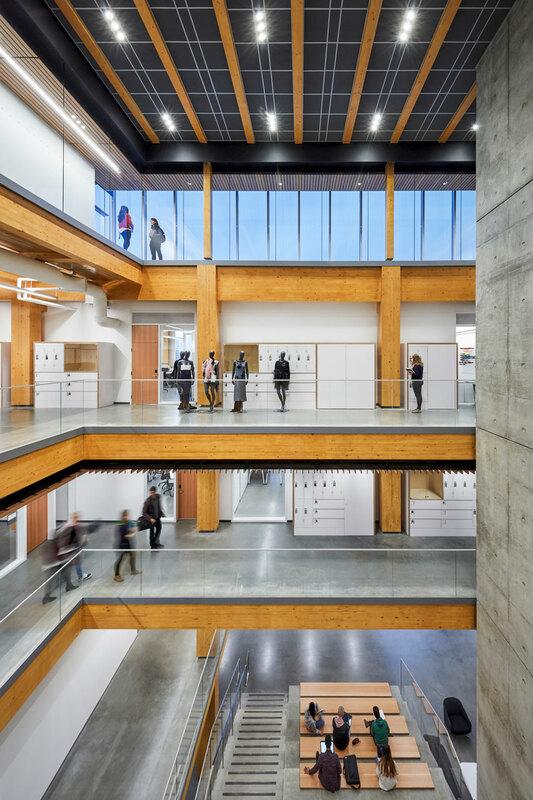 In a neighborhood dominated by cars and parking lots, the new Wilson School of Design represents a major step towards a healthier urban fabric. The industrial 19th century warehouse typology has been amended to create an open, rational grid with high ceilings and sustainable materials. It embodies first principles – 100% fresh air, natural light, views, and connection to the outdoors – with a flexible robust plan – heavy timber structural system, all to last 100+ years. 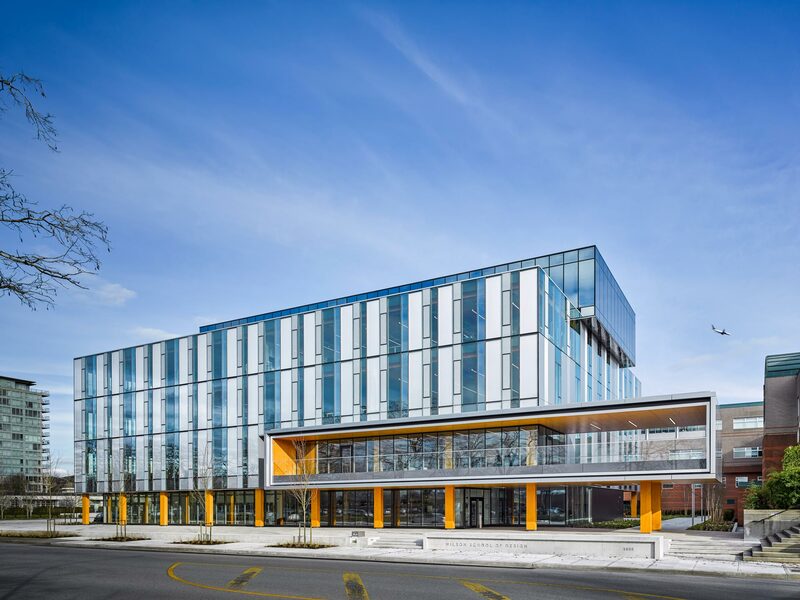 The CNC-milled post-and-beam timber frame of the Wilson School adheres to the same robust, rational plan grid that affords traditional warehouses their exceptional versatility. This flexibility allows many different forms of occupation of the building, over a semester or across generations. A taut, glass curtain wall surrounds the advanced wood structure. Varying degrees of reflectivity and transparency allow natural light into most of the spaces while providing a responsible level of thermal resistance and mitigating glare and solar heat gain. Operable windows bring fresh air in while the central atrium acts as an exhaust plenum. Concrete floors provide radiant heating and cooling. 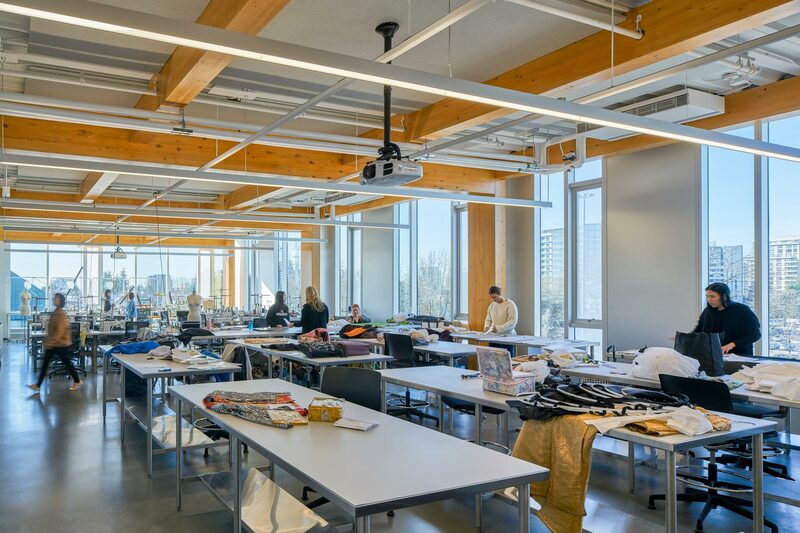 In short, high ceilings, ample natural light, and fresh air provide student designers the headspace to dream, explore, test, and create.